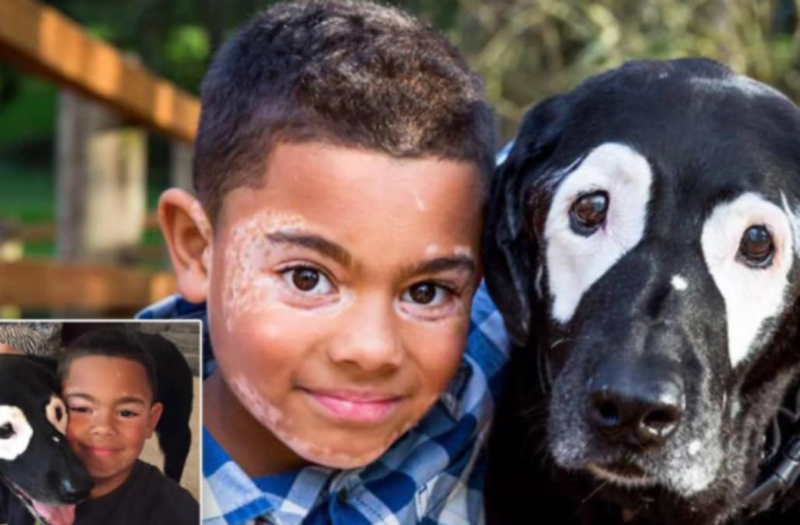 A boy with vitiligo is now proud of his skin markings after meeting a dog across the country that shares the same condition, and the same spots. Carter Blanchard, 8, from Arkansas, has a new friend, Rowdy, a 14-year-old Labrador retriever in Oregon. Despite being human and dog, Carter and Rowdy bond over white markings they both have around their eyes, as photographed by Sit! Stay Pet Photography. 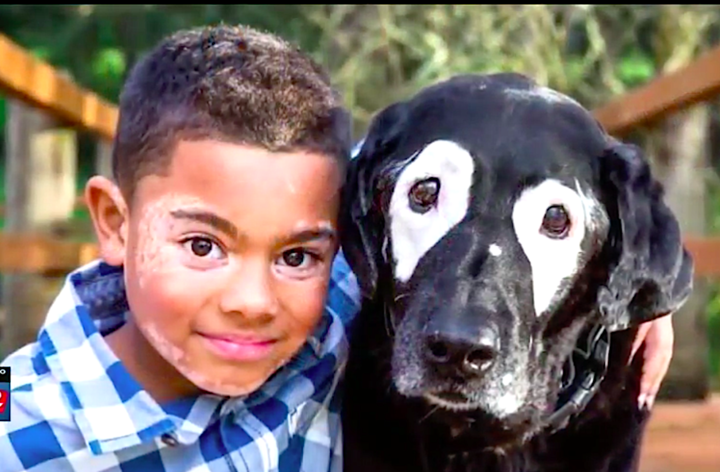 They were both diagnosed in August 2015 with vitiligo, a harmless auto-immune disease that causes a lack of pigment in certain areas of the skin. "During his diagnosis, he was in the middle of his kindergarten year," Carter's mom, Stephanie Adcock, told InsideEdition.com. "He was really struggling with the transition on a personal level. The kids weren't being mean or vindictive, but they were saying what they observed and that was starting to bother him." For a while, Carter told InsideEdition.com he didn't want to go to school: "I thought people would laugh, and tease me." Everything changed when Carter and his mom flew more than 2,000 miles across the country to meet Rowdy. Adcock said she kept in touch with Rowdy's owner, Niki Umbenhower, after noticing her dog online. "He's done a complete 180," Adcock said. "We've come full circle. He's proud of himself. He thinks we have boring skin because we don't get to have vitiligo." Realizing her elderly pup had the ability to help kids with vitiligo come to terms with their discolored skin, Umbenhower said she's now wants to help others struggling with the same condition. To support Rowdy's mission and medical expenses after an unexpected seizure last week, visit his GoFundMe page.